This photo just creeps me out by the look he and Grogan are giving the camera. 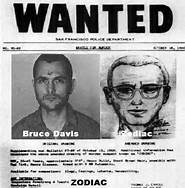 WAS Bruce the Zodiac Killer? He was a candidate at least. Bruce Davis and Steve "Clem" Grogan. Why are they holding fingers in the 2nd photo?! It's so strange to see all of them so old. I mean, we all have aged, if we are lucky, but to see these vicious killers become little old men and ladies. They could live next door and I would never suspect their past. I have a letter where Bruce addresses the accusation that he was the Zodiac Killer. Bruce made notations on a letter that was sent to him and sent it back to the writer. I had trouble reading some of the notations but he does confirm being out of the country from Oct. 1968 to the spring of 1969, also confirming being in England in December of 1968. I don't believe he is the Zodiac killer. Yes, there has been discussion about Bruce's travels to England, most of it is regarding whether or not he was in England at the time of Joel Pugh's death in Manson forums and blogs. The letter says that Bruce left again for England after the Gaul Sharp murders on November 21, 1969 and returned early December, towards the bottom of page 1. Bruce has notated "Not" with a line drawn to Gaul/Sharp in that section of the letter. Presumably he is saying that he did not return to England. In the Zodiac forums the discussion is whether or not he was in England for the first known Zodiac killing which was December 20 1968. There is a great divide as to whether or not the 1966 Riverside murder of Cheri Jo Bates was a bona fide Zodiac killing. I do not believe that Bruce was the Zodiac Killer either. All that said, Bruce can respond however he wants to a letter like this and it does not necessarily mean it's true, or false for that matter. My main interest in the letter is that certain 'Bruce Davis is the Zodiac Killer' accusers have repeatedly said that when questioned Bruce refuses to answer any questions on the subject but the letter which was postmarked in 2008 clearly refutes that notion. The letter is one of those things that has a crossover interest in both cases so that is why I posted it. Thank you for sharing it. I love these little nuggets, very interesting to consider. While his veracity is left up to the reader, it is interesting to see how he does or does not respond (when I can actually decipher what he wrote-thanks for the translation). What he affirms or denies or doesn't. I'm more interested in the Scientology aspect of the dates. I don't think Bruce, or anyone, killed Pugh. And I'm not convinced he had anything to do with Gaul/Sharp either, but I do think his associations and time with Scientology have been downplayed, and I can guess a few reasons why. In any case, fascinating stuff. I know you've studied this in detail, thoughts on who the Zodiac was? I don't think Bruce was remotely smart enough to be the Zodiac. The cyphers, not getting caught, playing games, too much time and effort was spent by the Zodiac for Bruce to make sense. A few of the talked about Zodiac suspects have gotten my attention but when looking at them closer they just don't pan out for one reason or another. I would not be surprised if Zodiac was looked at and maybe even interviewed early on but there was not enough to make an arrest. He's probably dead by now and the whole Zodiac deal is just a mental exercise! I think the Zodiac and the Unabomber are the same guy. Ted Kaczynski. Good 'Ol Ted The Bombmaker was also a Mathematical Genius. 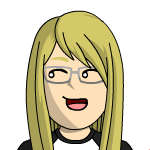 All codes are based on math. And he was in the Bay Area at the time of the Zodiac Killings. And he is Batshit Crazy. Simon, the attorney has been researching BD's trip to Europe. He explained to me the Bruce earned a higher level in Scientology by taking this trip. I had asked him what part Scientology may have played in this case which was the reason for my question at that time. I was thinking it was like going to Scotland to gain "Scottish Rites" for the Masons. "There have been numerous new developments on this case and they are as follows. proximity to the org. We made no efforts to contact them. "On 18 June 80 the following report was received by me. 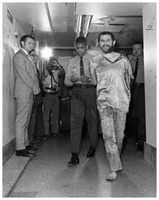 "Report of interview with Raul Morales, Re: Charles Manson. "According to Raul: Raul arrived in prison on McNeil Island, Washington in 1962 and became a cell mate of Lafayette Raimer allegedly a trained Scientology auditor (about Level I in Raul's estimation) and was introduced to Scientology at that time. Raimer was auditing in prison at that time and in one 10 man cell had managed to gather a group of about 7, all in Scientology. Charles Manson entered later and studied, did TRO etc. along with his cell-mates and received approximately 150 hours of auditing from Raimer. ... Rainer kept records of his auditing. Manson got super-energetic & flipped out when he'd been audited and would, for a time, talk about nothing but Scientology to the extent that people avoided his company. After a while, however, Manson was screaming to get away from his auditor (in Raul's opinion, he'd been severely over-run or something). He eventually managed to get put in solitary confinement to get away from his auditor. Eventually prison officials got suspicious of the groups strange activities and broke up the group. that another friend, Marvin White, later sent Manson books (after the Scientology group was broken up) on hypnotism and black magic. *Steve Grogan was also a Scientologist? That's the first I've ever read about Grogan being a Scientologist. Then again, once the cobwebs cleared he was the only one smart / lucky / whatever enough to get out of prison. "The man who avoids the Bridge to Total Freedom will be eventually be swept along and tumble into nothingness."